Luckily, I’m happy 🙂 I just spoke to my mom, and she’s happy too. Weekend plans include a manicure, writing, grocery shopping done by the hubby, more writing, a movie, mass tomorrow, and brunch. 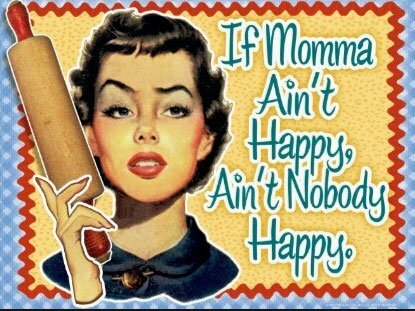 Wishing all you moms out there a terrific Mothers Day weekend!